The Hidden Hills region is blessed with dozens of state parks and preserves that provide visitors with a wide range of hiking, cross-country skiing, and birdwatching. 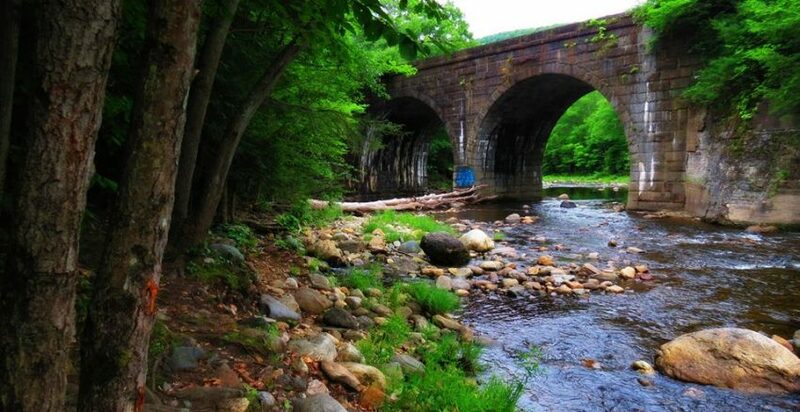 Here are the top hiking locations across these 16 towns in Western Massachusetts. 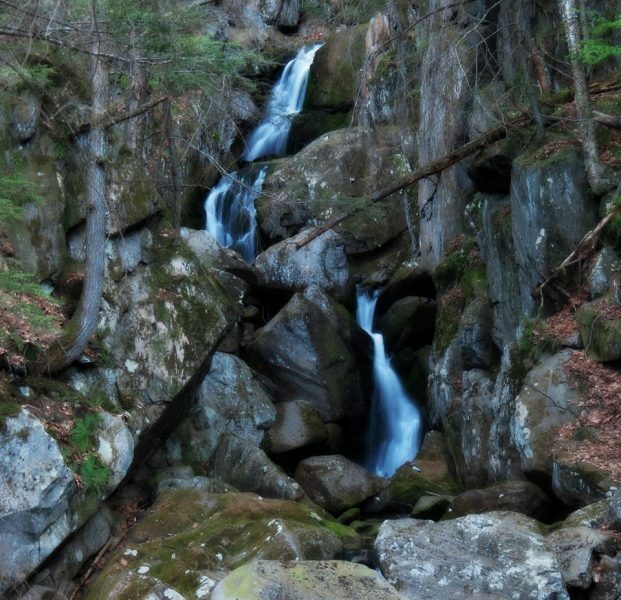 This dramatic rock canyon features 70-foot-high walls carved by centuries of rushing water from the East Branch of the Westfield River. 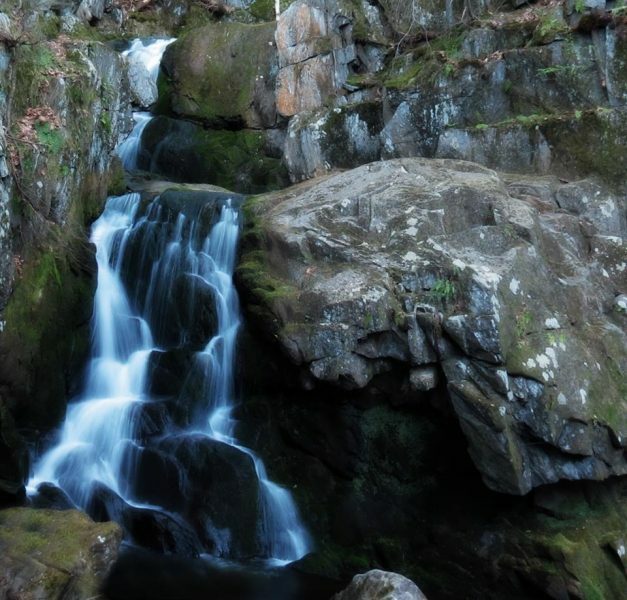 On your hike of the half-mile trail along the cliff tops, you’ll take in breathtaking views of the gorge, the river, and the surrounding forest, which nurtures hemlock, ash, and oak, and is home to bears, bobcats, and turkeys. A half-mile trail runs along the top of the Gorge. Easy walking. 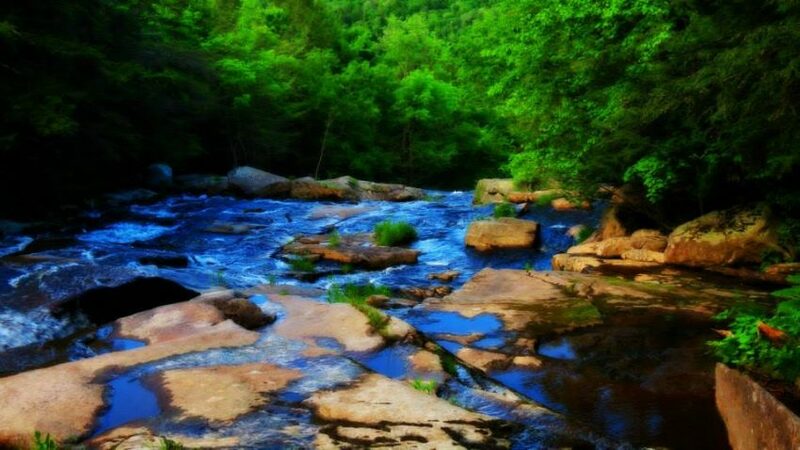 The trail from the parking lot connects to the East Branch Trail (also known as River Road), popular with day hikers and mountain bikers, which follows the river another seven miles, beyond Bliss State Forest. With more than 3000 acres, Notchview is the largest property owned by the Trustees of Reservations, a well-established leader in land conservation that can be enjoyed by visitors. You can visit the Al Budd Visitors Center and rent XC skis and hit the trails. 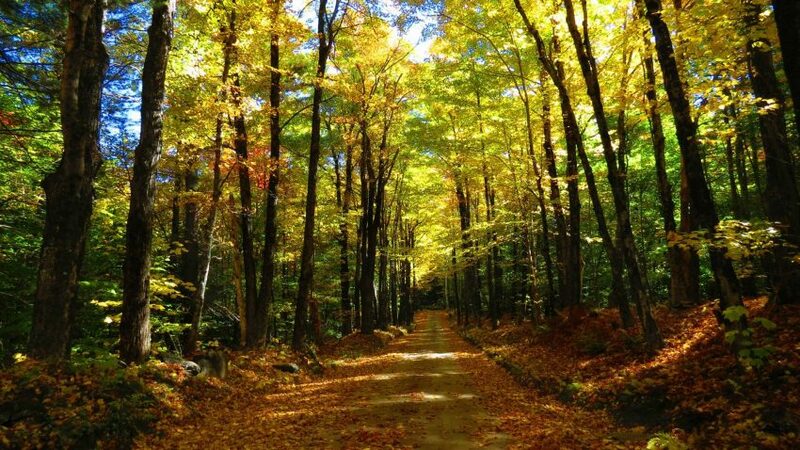 Or visit during the Fall for a foliage walk among the pretty colored changing leaves. Or pack a picnic and a blanket on a summer day and enjoy the natural beauty after a short hike through the marked trails. Read more about Notchview. All activities: Hiking, Mountain biking, Biking, Horseback riding plus camping area and a big lake. The view from the DCR Fire Tower at the DAR State Forest. Mt. Monadnock in Southern New Hampshire is visible in the distance. In the deep woods of Chester, there are 5+ magnificent stone bridges, built for the railroad between 1830-1850. This was the first cluster of keystone arch bridges built in the United States. The trail is 5 miles total, out and back, with some side trails for those who want to get a closer look at the bridges. The massive blocks were set in place one-by-one, with no mortar needed. Two of the bridges are still in service after nearly 100 years bearing even more weight than they were designed for. As the transportation system evolved over the years, however, most of the bridges were abandoned and only way to catch a glimpse of the arches until a few years ago was to trespass on railroad property or walk along the tracks, which is illegal as well as dangerous. This trail should please outdoor enthusiasts, historians and railroad buffs. 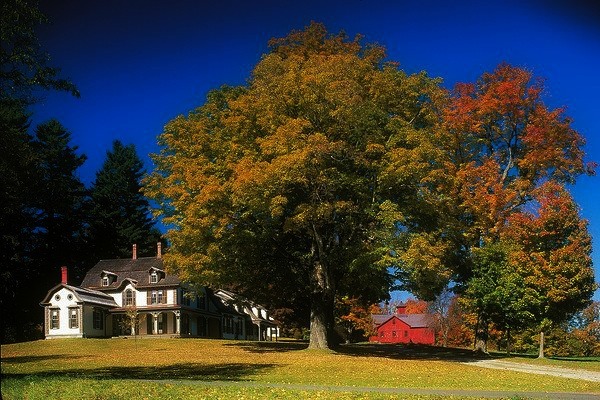 The Trustees has many properties in the Hidden Hills, including William Cullen Bryant Homestead, Notchview, and Glendale Falls in Middlefield.